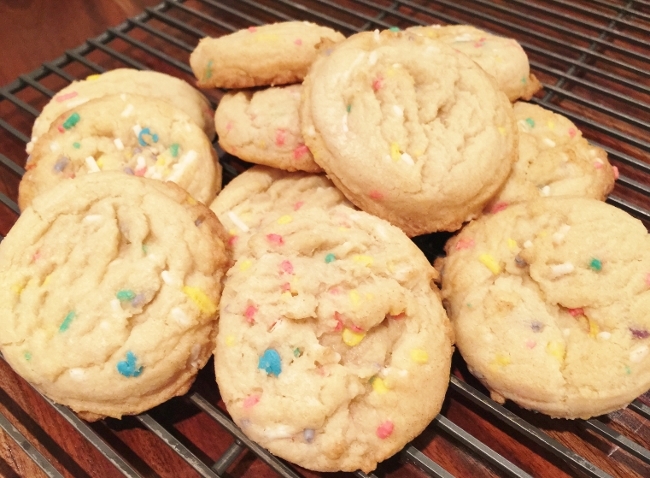 Confetti Sugar Cookies - Recipe! - Live. Love. Laugh. Food. 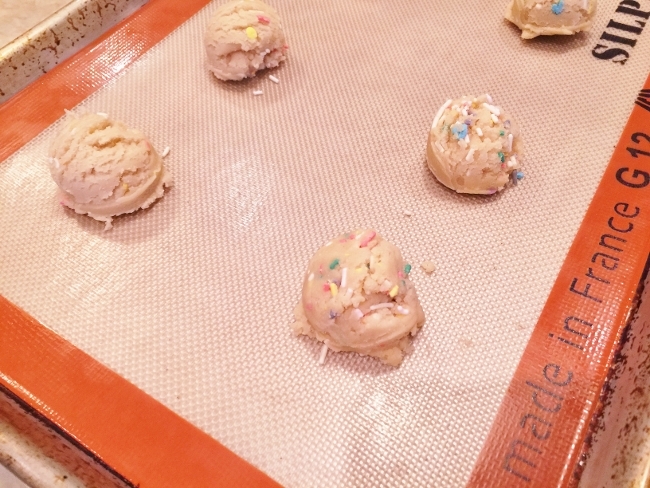 Confetti Sugar Cookies – Recipe! Funfetti is a boxed cake mix filled with colorful pastel candy pieces that is quite popular with the kids today. 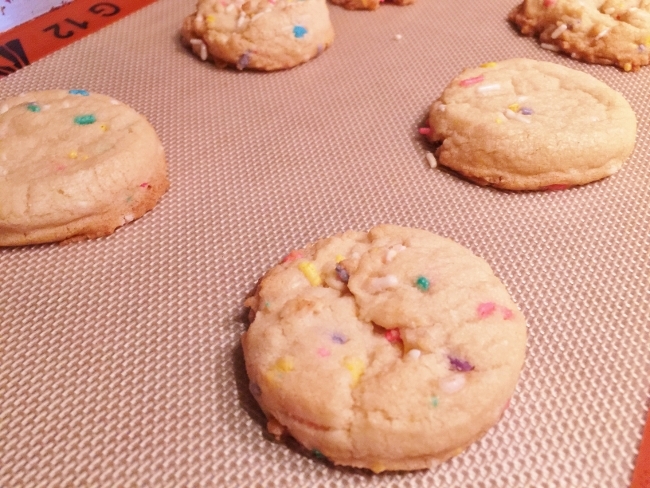 In the same spirit, but with a homemade flair, I wanted to make a cookie that is easy to make with all the colorful kid-loving charm. 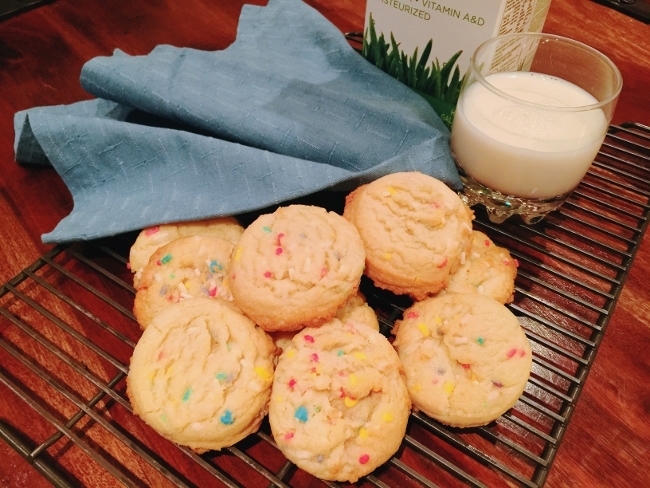 These Confetti Sugar Cookies are buttery rich and delightfully scrumptious because of the decadent dough and light crunch of the sugar pieces, not only will kids fall in love, but kids-at-heart will too. 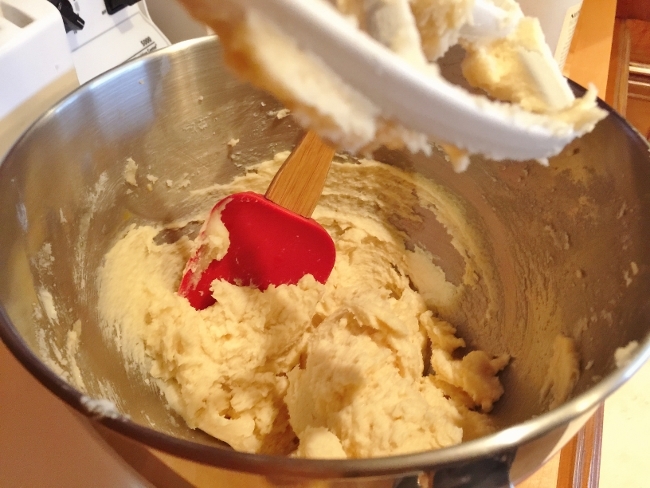 The dough is a simple preparation of butter, sugar and an egg, mixed until creamy smooth. Followed by the dry ingredients and of course, the pastel sprinkles for a colorful touch. I think these cookies are perfect for kids lunches, parties and after school snacks, but also great as gifts for Valentine’s Day with red, white or pink candies. And, yes I had my hand in the cookie jar too! 1. Preheat the oven to 375 degrees. 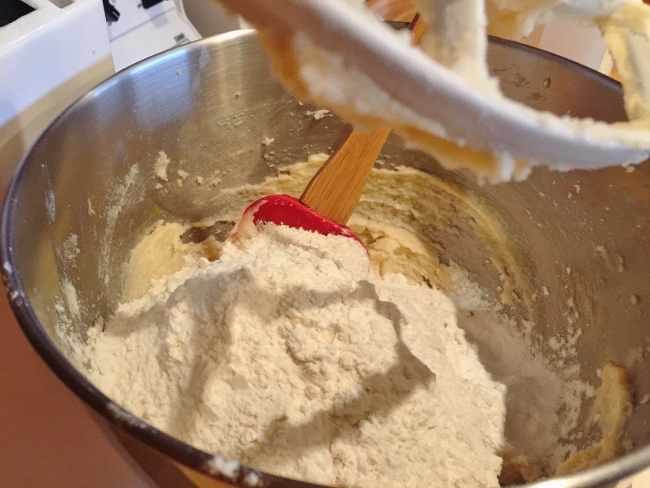 In a stand mixer or large bowl, cream together to butter and sugar for 3 minutes. Add the egg and vanilla and mix again on high speed for 2 minutes, until smooth. 2. Add the flour, baking powder, baking soda and salt. Mix on low speed for 1 minute. Do not over mix. 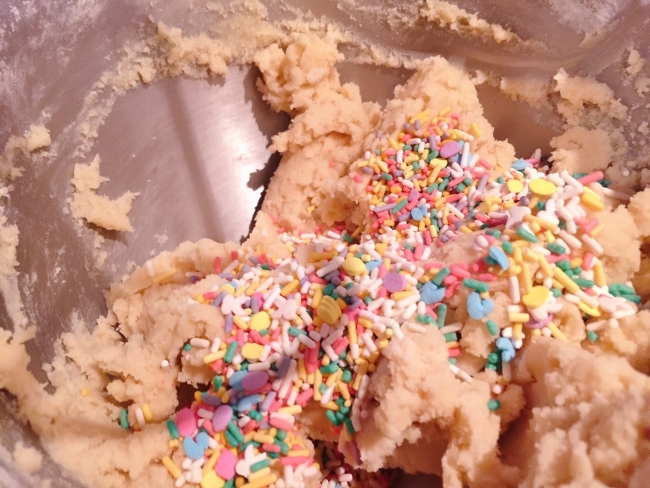 Add the sprinkles and mix by hand, until incorporated into the dough. 3. 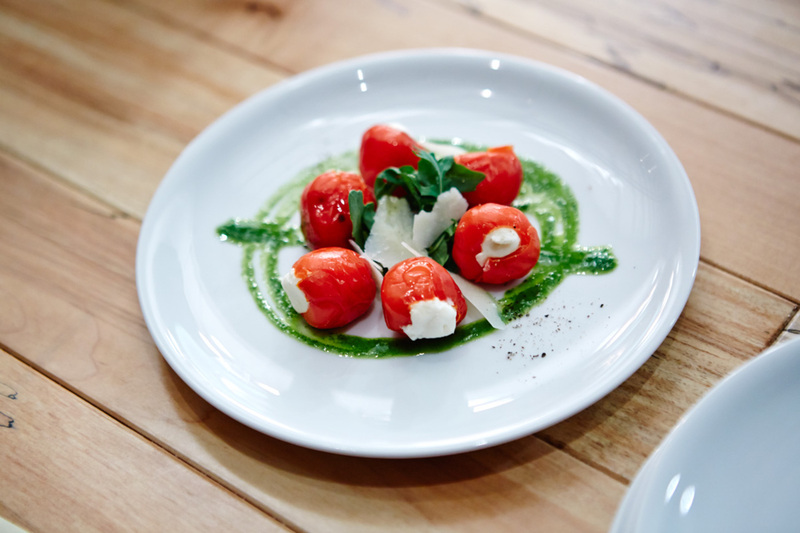 Using a scoop or tablespoon, portion out the dough (about 2 heaping tablespoons) onto a silpat or parchment lined baking sheet. Bake in the oven for 12-14 minutes or until set, but not brown. Remove from the oven and let cool 5 minutes before moving to a rack. 4. Serve with a cold glass of milk or store in the cookie jar, for up to 3 days. Enjoy! 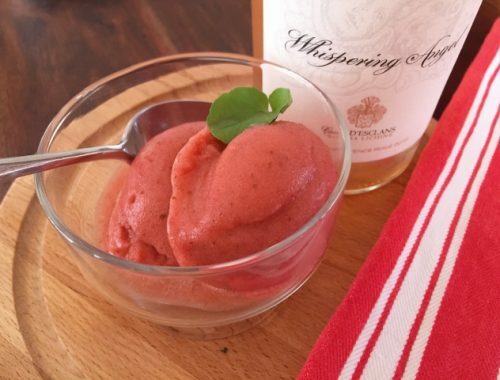 Strawberry Basil & Rose’ Wine Sorbet – Recipe!